This might happen if there are any issues in the disk performance causing disk latency; the response time from the source is getting high and the migration batches are getting timed out. This delays the movement of the mailboxes. 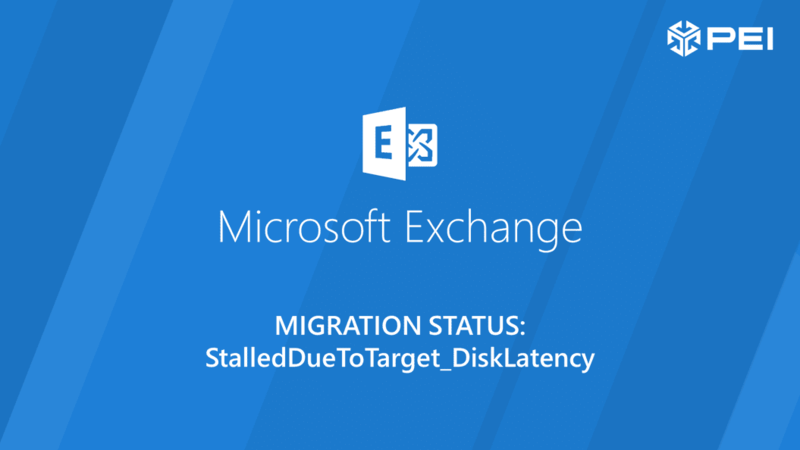 Start checking the target Exchange 2016 disk performance IOPS etc. If we get this, then there are some serious problems in the Exchange 2016 performance. And this depends on the designed storage architecture, how the database copies are distributed with how many mailboxes in each copy. If this is a migration to Exchange Online, this will require a ticket to Microsoft. They will work the restrictions and throttling on their side; once we mention “Stalledtotarget_disklatency” they typically address the issue very quickly. One suggestion we did get from a Microsoft was to remove the move request the create a new one with highest priority.